17 April, Cyberjaya – An exhibition that showcases the journey and capabilities of Malaysia’s rail industry is being held at Malaysian Industry-Government Group for High Technology (MIGHT). Known as the MIGHT Partnership Hub, the event is held via the Science to Action (S2A) – Science for Industry platform, another Malaysian Technology Solutions initiatives. The special exhibition is organised by the Malaysian Rail Industry Corporation (MARIC); an industry-led consortium that represents the voice of local rail companies; and showcases the tracks that the nation has laid and the charted way forward for the nation’s rail industry. Titled Special Rail Exhibition, the exhibition shall run from 17th of April till 4th May. It was officiated by Tan Sri Datuk Dr Ir Ahmad Tajuddin Ali, Joint Chairman (Industry) MIGHT together with Datuk Dr. Mohd Yusoff Sulaiman, President and Chief Executive Officer MIGHT who is also President of MARIC. Also attended was MARIC and MIGHT members. Malaysia is focused in creating a seamless journey in public transportation, connecting districts, towns and cities in ferrying passengers and cargo. Urban development is now parallel with the advancement of its rail network and new stations translate into new townships and new lines that will bring in new industry and urbanisation. With government’s support through its localisation policy, the local rail industry has developed and achieved international standard and recognition. This is evident in local player’s involvement in three major projects under The Greater Kuala Lumpur Plan 2010. The projects were awarded based on the capabilities of MARIC members, together with each respective local and international rail partner. Through these projects, MARIC members expand their expertise through knowledge transfer such as involvement in after sales, MRO and export capabilities. It also accorded MARIC members credibility as engineering, procurement, construction and commissioning (EPCC) partners to the international original equipment manufacturer (OEM), enabling smart-partnership between various parties, locally and abroad. Going forward, MARIC has a vision of expanding its organisation that would further benefit its members. Amongst them are incorporation of MARIC Incorporated and MARIC Trading House, establishment of Rail Industry Zone that includes research and innovation centre, warehouse and heavy engineering storage, and establishment of Rolling Stock Anchor Company, Technology and Innovation Anchor Companies and MARIC Product Focus Group. Through these initiatives, MARIC is ready to achieve more with the government’s support and recognition. Through collaboration with international construction, engineering and financial giants, MARIC members can adapt easily to both western to eastern technology. Such exposure also inculcates awareness on the standards of quality and expectations of the local players and increase their capabilities such as managing high level maintenance, repair and overhaul of LRT Ampang Line, KLIA Express and KTMB ETS wagons. In addition, parts and components can also be produced locally with support and assistance from OEM and rail owners. Key operators such as Prasarana and KTMB has long embarked into vendor development programme where they identify special components to be locally manufactured while opening up windows of opportunities to grow abroad. MARIC is now focused on five products with high opportunity to be explored – Automated Fare Collection, Operation Control Centre, Design, Solution and Technology Manufacturing, Customer Experience Solutions and Narrow-casting and Mobile Entertainment and Advertising. This special exhibition will bring together developers, brands, marketers, technology providers, designers, innovators and evangelists and set the pace in advancing our rail industry. 12 August, Samarahan – Around 400 students from 14 schools participated in the KLESF Mobile Workshop: Sarawak Chapter (KMWSC) held today at SMK Kota Samarahan. It is an extension of Kuala Lumpur Engineering and Science Fair (KLESF), an annual event held in the national capital since 2014 to promote science, technology, engineering and mathematics (STEM) amongst schoolchildren and youths. KLESF and its programmes come under the aegis of the national agenda – Science to Action (S2A), which was launched by YAB Prime Minister in 2013. This event was jointly-organised by Malaysian Industry-Government Group for High Technology Malaysia (MIGHT), Ministry of Education Malaysia (MOE) and Sarawak Department of Education (JPN Sarawak). KMWSC was officiated by Minister in the Prime Minister’s Department and the minister in charge of MIGHT, YB Dato’ Sri Hajah Nancy Shukri. Also in attendance were: the Science Advisor to the Prime Minister and Joint Chairman MIGHT, Professor Tan Sri Zakri Abdul Hamid, President and Chief Executive Officer of MIGHT, Datuk Dr Mohd Yusoff Sulaiman, Deputy Director General of Education, Ministry of Education Malaysia, Dato’ Sulaiman Wak, President of ASEAN Academy of Engineering and Technology (AAET) and Chairman KLESF, Ir Datuk Hong Lee Pee, Deputy Samarahan District Education Officer, En Abdul Latif bin Bujang and Principal of SMK Kota Samarahan, the host of KLESF Sarawak Chapter, En. Bujang Awang Jamain. KMWSC aim is in tandem with that of the KLESF’s – to inculcate interest and impress the importance of STEM in the target audience. Thus, it is with these objectives that the workshop programmes were designed to be STEM hands-on, so as to immersed the participants in the activities. Amongst the programmes listed were Fun Photo, Introduction to Arduino, Hello from Raspberry Pi, Paper Rockets and Lab Race. Various STEM content providers which includes agencies and academic bodies were involved in KMWSC such as Universiti Tunku Abdul Rahman (UTAR), Intellectual Property Corporation of Malaysia (MyIPO), University Malaysia Sarawak (UNIMAS), Management and Science University College (MSU), Malaysian Meteorological Department (Metmsia), Politeknik Kuching, Sunway University, Universiti Teknologi MARA (UiTM) and Universiti Teknikal Malaysia Melaka (UTeM). In addition to the above, Professor Tan Sri Zakri Abdul Hamid also conducted a special session – In conversation with the Science Advisor to the Prime Minister ‘Why I Choose to be a Scientist’; to share his wealth of experience with the schoolchildren. Samarahan is envisioned to be Sarawak’s center of education and research. In line with its aspiration to be an education hub, several universities, learning institutes, and other educational spots are already located within the vicinity as it moves towards becoming the focal point of education excellence. It is thus that Samarahan has been chosen as the venue for this third episode of KMW. 2 KMW was previously held in Teluk Intan, Perak and Sungai Besar, Selangor, involving 19 schools and over 1300 students. KUALA LUMPUR, 25 July 2017 – Malaysia and the United Kingdom are extending the Newton-Ungku Omar Fund – a collaborative effort between the governments of both countries to promote science, technology and innovation collaboration. The Fund has now been extended from 2019 to 2021 with up to 50% increase in committed funding and resources from both countries to promote larger-scale research calls, innovation-focussed activities and capacity building activities that support the development agendas of Malaysia. The announcement was jointly made at the Newton-Ungku Omar Fund Open Day held today at MiGHT Partnership Hub in Cyberjaya, by Prof. Emeritus Tan Sri Zakri Abdul Hamid, Malaysia’s Science Advisor to the Prime Minister and Her Excellency Vicki Treadell, British High Commissioner to Malaysia. “Malaysia is one of the most active of the 18 Newton Fund countries, with one of the highest averages in respect of the quality of their applications. Currently 18 British and Malaysian funding organisations work together to offer funding opportunities for researchers. 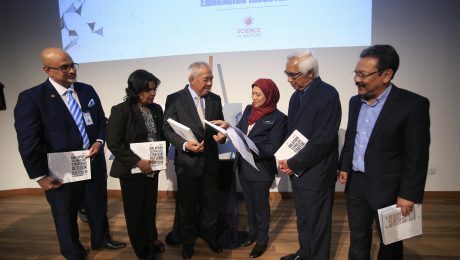 A total of 28 activities have been established and approximately 100 funding grants awarded since the Fund’s inception in 2014,” said Professor Emeritus Tan Sri Zakri Abdul Hamid. 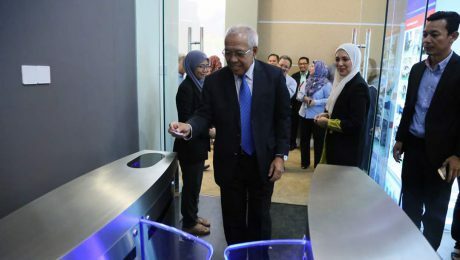 The Newton-Ungku Omar Fund Open Day brought Malaysia’s science, technology and innovation community together to celebrate the success of the Fund thus far. The event saw the launch of the Weather and Climate Science for Service Partnership (WCSSP) – a landmark collaboration between the UK Met Office and National Disaster Management Agency (NADMA) Malaysia, Malaysian Meteorological Department (MetMalaysia), National Hydraulic Research Institute of Malaysia (NAHRIM), and Department of Irrigation and Drainage (DID) Malaysia. This project aims to harness Malaysian and British scientific expertise to improve forecasts for severe weather in Malaysia and the region, to save lives and protect livelihoods. At the event, Professor Datuk Dr Asma Ismail, President of Academy of Sciences Malaysia (ASM) also presented approximately £4.6 million worth of research grants to twelve winning collaborative projects under the ‘Bilateral medical and health research in non-communicable diseases’ programme. Funded by ASM and Medical Research Council UK, this two-year programme sees Malaysian and British medical researchers working together on research to tackle non-communicable disease prevalent in Malaysia. Academic researchers, small-medium enterprises, current Fund recipients amongst others attended the Open Day and participated in a series of talks, workshops and showcases by the Fund’s Malaysian delivery partners and successful awardees. Some of the activities included science communication skills training by British Council Malaysia and ASM, a talk on ‘How to write a good international collaboration proposal’, a talk and coaching session on intellectual property management by Malaysian Intellectual Property Office (MyIPO), UK Intellectual Property Office, and PlaTCOM Ventures Sdn Bhd, and briefing sessions for new funding opportunities. The Open Day was co-organised by Malaysian Industry-Government Group for High Technology (MiGHT) and the British High Commission Kuala Lumpur. KUALA LUMPUR, 7 October 2016 – Green technology for economic and environmental sustainability and resilience has been identified as a significant sector in Malaysia. 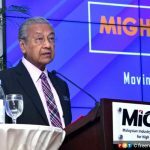 The Eleventh Malaysia Plan 2016-2020 focuses on green growth and highlighted the need to increase the rate of renewable energy adoption, encourage low carbon mobility, smart cities and others. Global Cleantech Innovation Programme (GCIP), a program under the Science to Action (S2A) Initiative supports the greening of the future through entrepreneurial and innovation approach. This programme has generated significant business opportunities for Malaysians by capturing a slice of the $1.6 trillion market opportunity in clean technology. These businesses created jobs especially for those in the rural areas. The GCIP helps to facilitate entrepreneurship and innovation in four technology categories namely; renewable energy, energy efficiency, waste-to-wealth and water efficiency. GCIP Malaysia is a collaboration between MIGHT, Global Environment Facility (GEF) and the United Nations Industrial Development Organization (UNIDO). In conjunction with International Greentech & Eco Products Exhibition & Conference (IGEM), MIGHT hosted a networking session branded as In-GREEN-D’Ent at MIGHT’s pavilion (booth 5422, Hall 5). In-GREEN-D’Ent is the finesse to GCIP program, a platform for networking and knowledge exchange among the current and past GCIP participants, and interaction with VCs and technology companies. Around 100 GCIP alumnus attended In-GREEN-D’Ent together with other 50 partner corporations, ministry and government agencies, industry players, investors and academia. It was officiated by the President and Chief Executive Officer of MIGHT, Datuk Dr Mohd Yusoff Sulaiman. Prior to In-GREEN-D’Ent, series of nurturing and enrichment sessions for participants were conducted through webinars, training, mentoring sessions conducted by both local and international business coaches and specialist/experts, including those from United States of America (USA). The programme also offers a special webinar session with a Coca-Cola representatives in technology scouting of the potential application in the beverage and drink Industry. Top 10 finalists out of 25 organisations were announced during the session. The 10 finalist are Maeko, Yjack, Greenovations, IGL Coatings, Suncrox Solar, ICEE International, Ecoloo, Logikation, Neutrinos and Syngas. This 10 finalist will go through another round of pitching where the Top 3 winners will be selected to represent Malaysia at the Cleantech Open Global Forum in San Francisco in February 2017. The top 3 winners including the National Champion of the GCIP2016 program will be announced on 15th November 2016 during the GCIP Gala Award Ceremony. Datuk Dr Yusoff said that the GCIP program has trained and nurtured about 200 entrepreneurs in the Clean technology segment. These entrepreneurs have successfully developed their ideas into products and are able to package them for the market. Clean technology offers unlimited opportunities, especially for young technopreneurs. He said, “We are thankful for the support given by KETTHA, NRE, MGTC, MOSTI, MOHE, MARA, SMECorp, Cradle, UNIDO, CTO, MAGIC and supporting ministries and agencies in helping us to implement this program successfully and develop a unique eco-system for clean technology and entrepreneurial development. We are also thankful to the highly motivated participants, dedicated trainers and untiring project management team, without which this program could not have been success, It is the hope of MIGHT that this program will be expanded to the ASEAN platform that will increase the pool of would-be entrepreneurs, financing institutions eager to invest in the products development and exposure to the 7th largest market in the world consisting of 620 million people. SIBU, 28 September 2016 – The shipbuilding/ship repair industry (SBSR) in Malaysia is a priority sector that generates high employment and income for the nation. Despite the gloomy global outlook and downturn in the shipping markets, the local industry players remain optimistic especially in the small and medium-sized vessels. The 4th National Marine Industries Forum (4NMIF) which was held in Sibu, Sarawak today presented and discussed these opportunities amid the challenging operating environment faced by the industry. 4NMIF was held in conjunction with Malaysia Marine Industry Expo 2016 (MIMEX) at Sibu Trade & Exhibition Centre on 27-29 September 2016. It was co-organized by Association of Marine Industries of Malaysia (AMIM), Maritime Institute of Malaysia (MIMA) and Malaysia Joint Branch Royal Institute of Naval Architects and Institute of Marine Engineering, Science and Technology (RINA-IMarEST) and the Malaysian Industry-Government Group for High Technology (MIGHT), as a continuing engagement among the industry players and regulators vis-a-vis the previous editions of National Marine Industries Forum held in 2010, 2012 and 2014 in Kuala Lumpur. This series of fora has emerged as a useful platform at both national and regional level for existing and new players and stakeholders in the marine industries to meet and discuss developments and issues of mutual interest and benefits. 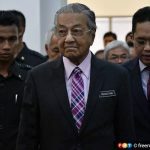 One of the most notable outcome of these fora was the launching of the Malaysia Shipbuilding / Ship Repair Strategic Plan 2020 (SBSR 2020) by YAB Prime Minister Dato’ Sri Najib Tun Razak in 2011, as a result of the inaugural 1NMIF held in 2010. The forum recommended the formulation a roadmap for the SBSR industry in Malaysia towards becoming a globally competitive SBSR nation, resulting in the SBSR 2020. Many of the recommendations in SBSR 2020 have been implemented including the new incentives for the industry that the Government implemented early 2016. 4NMIF brought together renowned foreign and local speakers to share their insights, ideas and strategies, aligned to the theme “Opportunities amid challenges”. The one-day session was officiated by YB Datuk Amar Haji Awang Tengah Ali Hasan, Minister of Industrial and Entrepreneur Development, Trade and Investment (MIETI) Sarawak, and participated by captains of the industry, senior Government officials and academia. During his speech, YB Datuk Amar said “the choice of Sibu as the host of 4NMIF was an acknowledgement of Sibu’s position as the heartland of shipbuilding and ship repair in Sarawak and Malaysia, which houses the most number of shipyards compared to any other town or city in Malaysia. He added that his Ministry and the Sarawak state government were committed to continue promoting the development of the SBSR industry. Also present were Datuk Haji Julaihi Haji Narawi, Junior Minister MIETI, Tan Sri Datuk Dr Ir. Ahmad Tajuddin Ali, FASc, Joint-Chairman of MIGHT; Tan Sri Dato’ Seri Ahmad Ramli Haji Mohd Nor, President of AMIM who is also Chairman of MIMA; and Datuk Dr Mohd Yusoff Sulaiman, President / Chief Executive Officer of MIGHT. Tan Sri Ahmad Ramli reiterated that there were pockets of opportunities for industry players in niche markets. He said, “Those who could enhance efficiency and productivity, focusing on providing quality and deliver value-adding and cost competitive products and services would be able to capitalise on the opportunities in the industry and benefited the most when the market turnaround”. “The Government has and will continue to promote and incentivize the SBSR industry. But it needs adapt to both market and technological changes, in order to increase its attractiveness to investors, companies, entrepreneurial talent and youth. We see opportunities for the youth in Sibu and elsewhere to join this industry which is expected to employ 50,000 people by the year 2020”, said Tan Sri Datuk Dr Ir. Ahmad Tajuddin Ali, Joint-Chairman of MIGHT. Meanwhile, the President and Chief Executive Officer of MIGHT highlighted the importance of partnership and collaboration in ensuring the success of the SBSR industry, and the need to embrace the Fourth industrial revolution. He reiterated that MIGHT will continue to work closely with MITI, the Sarawak State Government and key agencies as the facilitator to develop a conducive ecosystem for the sustainable growth of the industry. He agreed that more need to be done; the tax incentive which was developed by MIGHT and approved by the Ministry of Finance and MITI has provided the needed catalyst for the industry.Datuk Dr Yusoff also proposed the review of the SBSR 2020 action plans, taking into account the inputs gathered from 4NMIF and to be presented to the SBSR community by mid-2017. AMIM Honorary Secretary, Nazery Khalid testified on the success of the 4NMIF managed in providing a national platform for stakeholders in Malaysia’s marine industries to gather and discuss issues, development, concerns, opportunities and challenges in the industry. The participants gain from the ideas and insights that will certainly lead to the formulation of strategies, solutions and way forward to boost the growth and development of the marine industries. Kuala Lumpur, 10 June 2016 – The title of best science communicator for FameLab International 2016 has gone to Dr. Abhimanyu Veerakumarasivam of Universiti Putra Malaysia. Dr. Abhi sailed past over 2000 scientists from 27 countries on Wednesday 9 June by presenting “Cancer genetics” at the EDF Arena at The Times Cheltenham Science Festival. Aida Rafat from Qatar and Alba Aguion from Spain shared the runner up prize. “Science communication is essential to ensure that the advancements in science translates to actual improvement of lives. There is a need to communicate effectively especially to the non-scientific audience” said Dr.Abhi who was ecstatic with his win. Abhi’s winning talk was on cancer cells. He explains why cancer incidents increase in age. He pointed out how genetics is going to change the way cancer is going to be diagnose and treated in the age of precision medicine. engineering concepts within 3 minutes presentation. FameLab Malaysia was jointly organised by the Malaysian Industry-Government for High Technology (MIGHT) and British Council Malaysia. unearthed many talented science communicators from various background including Abhi. alumni) as our appointed science ambassadors under the Science to Action (S2A) programme. Once again, thank you and well done, Dr. Abhi”. “This is really exciting news and we are thrilled for Dr. Abhi. While the result is truly rewarding for him personally, it is also an excellent achievement for Malaysia. Making science accessible and attractive to a non-scientific audience through good communication is an ever-growing priority for researchers worldwide” says Sarah Deverall, Director of British Council Malaysia. The competition was judged by an international team of experts in science communication including Nadia El Awady, Robert Llewellyn, Mark Lythgoe and Professor Katherine Willis. KualaLumpur, 2 June 2016 – Malaysia Industry-Government Group for High Technology(MIGHT) and Agensi Inovasi Malaysia (AIM) through its subsidiary companyPlatCom Ventures Sdn Bhd, signed a Memorandum of Understanding (MOU) to ensurethe delivery of SME development in Clean Technology through the GlobalCleantech Innovation Programme (GCIP). 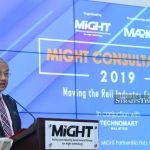 MIGHT was represented by Datuk Dr MohdYusoff Sulaiman, President and Chief Executive Officer of MIGHT while AIM waspresented by their Chief Executive Officer, Mr. Mark Rozario. Also present towitness the event was YB Datuk Seri Mah Siew Keong, Minister in the PrimeMinister’s Department and the Minister in charge of MIGHT, Prof. Tan Sri ZakriAbdul Hamid, Science Advisor to Prime Minister and Joint Chairs (Government)MIGHT, Tan Sri Datuk Ir. Ahmad Tajuddin Ali, Chairman, UEM Group Berhad andJoint Chairs (Industry) MIGHT, Dr Viraj Pererera, Chief Executive Officer ofPlatCom Ventures Sdn Bhd and Mr Rushdi Abdul Rahim, Senior Vice PresidentMIGHT. The MOU was held in conjunction with MIGHT’s 21st AnnualGeneral Meeting (AGM) which was concluded successfully in Renaissance Hotel KualaLumpur. “We needto have more innovation partnership between all stakeholder to ensure smoothimplementation of national planning and policies by the public and privatesector. This is important as the outcome of these programmes will eventuallybenefit to the wellbeing of the nation and society” said Datuk Seri Mah. Hecongratulated MIGHT for their continual success in providing significantplatforms for the stakeholders to further develop the local industries towardstechnology advancement and entrepreneurship excellence. Around200 government officials and captain of the industries attended the AGM. DatukDr. Mohd Yusoff Sulaiman briefed and highlighted on MIGHT’s 2015 achievementand the 2016-2020 Corporate Plan. “It is important for us in MIGHT to continuefacilitating and preparing our stakeholders along with other agencies toembrace the technology disruption issues, it is important that we are ready andthe ecosystem is supporting it”. Government support in expediting hightechnology based enterprises will to some extent shift the manufacturingactivities in the high technology based industries. Apresentation of Certificates of Appreciation was also held to express MIGHT’sheartfelt gratitude and appreciation to the MIGHT Interest Group (MIG) membersfrom the Solar Industry for their contribution in the MIGs activitiesespecially in producing the Solar Roadmap 2015-2030. A Special Session: Conversation with YB DatukSeri Mah and the Joint Chairs of MIGHT, Professor Tan Sri Zakri Abdul Hamid, andTan Sri Datuk Dr. Ir. Ahmad Tajuddin Ali was also conducted in preparingMalaysia in the wake of the 4th Industrial Revolution era. Thewidespread of this industry revolution impacting all disciplines; not limitedto just economies and industries but also human – where fulfilling needs inreal time and understanding technology values are necessary to sustaincompetitive parity. Also shared is the 8 Technology Values booklet produced bymyForesight®, MIGHT in preparing the stakeholders to remain competitive in thewake of new industrial era. PUTRAJAYA, 31 MAY 2015 – The world agrees that Science, Technology and Innovation (STI) is the pertinent element to sustain economic development. In a move towards achieving the developed economy nation status, Malaysia and Spain are moving together, exploring for new business opportunities through strong industrial R&D partnership. Malaysian Industry-Group for High Technology (MIGHT) and the Centre of Development of Technology Industry (CDTI) of Spain organised a business matching workshop between industries from both countries, aims to initiate industrial R&D collaboration between Malaysia and Spain in environmental technologies. A Memorandum of Understanding (MoU) signing between MIGHT and CDTI in technology partnership was held prior to the business matching session witness by the HE Spain Ambassador. The partnership between MIGHT and CDTI gives emphasize on promotion and facilitation of joint technology cooperation projects between entities from Malaysia and Spain. Held at the Marriott Putrajaya Hotel, the session has gained good response from industries related to environmental sectors of both countries. The President and Chief Executive of MIGHT, Datuk Dr Mohd Yusoff Sulaiman highlighted the importance of sustaining collaborative partnerships with trusted partners as an important strategy as it creates many possible win-win situations which eventually will increased trade efficiency and improve STI related business. Datuk Nik Ahmad Faizul Abdul Mallek, the Managing Director of MIGHT Technology Nurturing (MTN) in his briefing during the sharing session shared the current landscape of Malaysia’s environmental sectors overview and its potential growth and business opportunities. Mr Lorenzo Chacon representing the Spain shared the landscape overview from Spain for benefit of the participants. May 30, 2016 — Tan Sri Zakri Abdul Hamid, the Prime Minister’s Science Adviser and Joint Chairman of MIGHT, had been appointed by United Nations Secretary-General Ban Ki-moon to the prestigious Governing Council of a planned UN Technology Bank for the Least Developed Countries. The “Technology Bank” is an outcome of a UN General Assembly Resolution, which requested the Secretary-General to launch and operationalize a science, technology and innovation support mechanism for the least developed countries. The institutional template of the Technology Bank is the Tokyo-Based UN University, where Zakri served for eight years as Director of the UNU Institute for Advanced Studies. A dedicated trust fund has also been established to support the preparatory phase of the Technology Bank. The Governing Council will help the Secretary-General undertake the necessary steps to operationalize the Technology Bank; in particular it will formulate principles and policies governing its activities and operations and prepare its Charter for consideration and adoption by the General Assembly. Professor Mohamed H.A. Hassan (Sudan), President of the InterAcademy Partnership (IAP) and former Chairman of the Council of the United Nations University will serve as Chair of the Governing Council. Mr. Gyan Chandra Acharya (Nepal), Under Secretary-General and High Representative of the Least Developed Countries, Landlocked Developing Countries and Small Island Developing States will be the Secretary-General’s representative in the Council, serving as vice-chair. In addition to Zakri, Mr. Abdoulaye Yero Balde, Minister of Higher Education and Scientific Research of Guinea will be part of the Governing Council, along with nine others representing UN Member States, industry leaders and academics. The Technology Bank idea originated in the 2011 Istanbul Programme of Action and was confirmed in both the 2015 Addis Ababa Action Agenda and in Sustainable Development Goal 17. The Government of Turkey generously offered to host the Technology Bank in Gebze, Turkey. In another development, the Washington, D.C.-based Global Federation of Competitiveness Councils (GFCC), has appointed Zakri as a Distinguished Fellow in recognition of his exemplary public service and expertise on matters affecting global competitiveness, science and sustainability. The GFCC is a global network of 30 competitiveness councils and economic/business development organizations representing countries from the Americas, Europe, Africa, Asia and Oceania. In this role, Zakri is expected to be a strategic adviser to help guide the GFCC’s initiatives. Zakri received his appointment letter from the Honourable Ms. Deborah L. Wince-Smith, GFCC President on the sidelines of the sixth meeting of the Global Science and Innovation Advisory Council, chaired by Prime Minister Dato’ Sri Najib Razak in London on May 17. MIGHT Senior Adviser, Academician Dato’ Lee Yee Cheong also received his appointment letter as GFCC Distinguished Fellow at the same occasion. In another unprecedented event, Zakri was elected as a member of the Governing Board of the Global Research Council, representing the Asia-Pacific region. The election took place during the Council’s annual meeting in New Delhi on May 25. Founded in 2012, the Global Research Council is a virtual organization comprised of the heads of science and engineering funding agencies from around the world, and is dedicated to promoting the sharing of data and best practices for high-quality collaboration among funding agencies worldwide. The worldwide growth of public support for research has presented an opportunity for countries large and small to work in concert across national borders. Cooperation and collaboration can enhance the quality of science, avoid unnecessary duplication, provide economies of scale, and address issues that can only be solved by working together. Heads of research funding agencies have a responsibility to meet these objectives on behalf of the research community. Zakri expressed his appreciation for these appointments, adding that they reflect Malaysia’s high standing in the eyes of the world. Zakri, who also serves as a member of the Secretary-General’s Scientific Advisory Board, added that he would follow-up in Malaysia by setting up a National Task Force to link the Global Research Council with the National Science Council and to prepare for Malaysia to host the GRC Asia-Pacific regional meeting in December. The task force will be headed by Senior Professor Dato’ Khalid Yusoff, President of UCSI University who played a pivotal role in the GRC meeting in New Delhi.